Cancellations or other openings can happen at any time. Don't miss out on the chance to go on this great trip. Sign up on the waiting list and we will contact you if an oppening occurs. Contact Trip Captain Bill Bryan for your options and the current trip status. Big Sky Resort, about 44 miles from Bozeman, MT is big! Four mountains connected by chairlifts provide a huge magnitude of intertwined terrain levels for all different skiing abilities. Powder stashes are continually found throughout Big Sky due to the consistent snowfall in the Northern Rockies with a natural fall-line back to the village base. Acres trump skiers boasting about two acres per skier as they disburse over the inbound landscape. With 24 chair lifts and 12 surface lifts, lines are not an issue. And NEW FOR 2018-19, the first eight-seat, high-speed chairlift in North America – a state-of-the-art chairlift with ergonomically designed, extra-wide, heated seats and "Big Sky blue" bubbles to service Andesite Mountain - bigsky2025.com/ramcharger-8.html. Big Sky is a resort without limits as guests enjoy a plethora of activities that go beyond skiing. Since there isn't a major metropolitan city destination, guests begin their ski vacation with an easy drive through a scenic canyon skirting along the Gallatin River. Welcome to Big Sky! Click on this link to READ ABOUT THE TRIP in detail. If you've got any questions, contact Bill. You must be a member of the Peninsula Ski Club or another BRSC-affiliated club to sign up for this trip. (4) certain items purchased in conjunction with trips (e.g., season or multi-resort passes) may be non-refundable regardless of the cancellation date. Includes all trip costs except air travel and lift tickets. Group air transportation between Norfolk, VA and Bozeman, Montana. Routing is subject to change, but current flights are from Norfolk to Bozeman via Denver with the return the exact reverse. If you are flying from a location outside our local area or have another reason not to fly with the group, please consult with the trip captain. If you do not fly with the group, you are responsible for your own transportation to the final destination, including ground transportation as may be required. We strongly recommend that you fly with the group unless you are departing from outside the Tidewater Virginia region. Includes lifts for 5 of 6 days at Big Sky Resort. 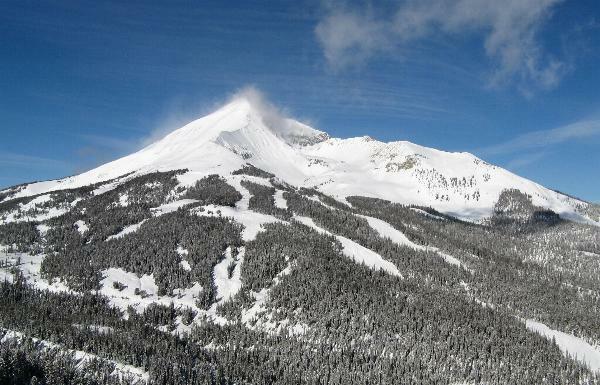 Includes lifts for a 6th day at Big Sky Resort. Price is for seniors aged 70 and up. Includes 6th day of lifts for Big Sky. Price is for seniors aged 70 and up. The IKON Pass for lifts can potentially save you some money if you are skiing enough days to make it worthwhile. Be sure to read this information very carefully before buying or dismissing the opportunity. The new IKON Pass provides lift access at 26 of the most iconic winter destinations in North America. By design, for the 2019 season, PSC is traveling to 4 of those destinations – Steamboat, CO; Snowshoe, WV; Big Sky, MT; and (through BRSC) Sunday River, ME. If you are skiing more than a week, you will likely save money with an IKON Pass. There are two levels of IKON Pass that provide different numbers of skiing days at the included resorts. The base pass at $699 ($579 for active/retired military & dependents; or college students) provides unlimited lift days at Snowshoe and 5 days at each of the other PSC destinations; the standard pass at $999 ($819 military, etc.) provides unlimited days at both Steamboat and Snowshoe, with 7 days at Big Sky and Sunday River. For more information, current pricing, and to purchase your pass, go to https://www.ikonpass.com/en. If you purchase an IKON Pass instead of lifts for a particular trip, check the activity box here AND notify your trip captain(s) to provide the pass number. Our lodging is planned in 3 bedroom, 3 bath condo town homes for 6 people. Bedding configurations may vary, but will generally be two people per bedroom. We will work with the entire group and make every reasonable effort to find roommates for you if you are traveling on your own. If you prefer NOT to have a roommate, or we are unable to line up someone for you, individuals may elect to go on the trip even if a unit is not filled. To "buy out" a bedroom for yourself would cost about $632. Since condos are charged based on occupancy by six individuals, the lodging supplement amount covers the additional cost for an under-filled unit. THE FINANCIAL CONSEQUENCES OF SUCH A SITUATION WOULD BE ADDRESSED WITH THE GROUP AND INDIVIDUALLY AS APPROPRIATE.